Oversized sleeping chairs are often overlooked as great guest beds for plus size people. Sure they may not be as comfortable as the real deal, but with the addition of a mattress topper you may be amazed by the increase in comfort levels. But after all they’re designed to be a temporary and portable bed to be used much less frequently then the common bed. In saying this, sleeping sofa’s/chairs can also be very eye appealing and quite comfortable in any living room, not just the guest room. However when you’re a heavy person like myself, you may already be well aware of the consequences of sitting in a standard chair not built for us bigger guys and gals. No it’s not pretty and usually ends up costing us a few hundred bucks to replace the chair… Not something I want to do that often. However we do have a few options when it comes to high weight capacity sleeping sofa’s and chairs. Not a great deal, but a few to help us sleep at night (Literally). 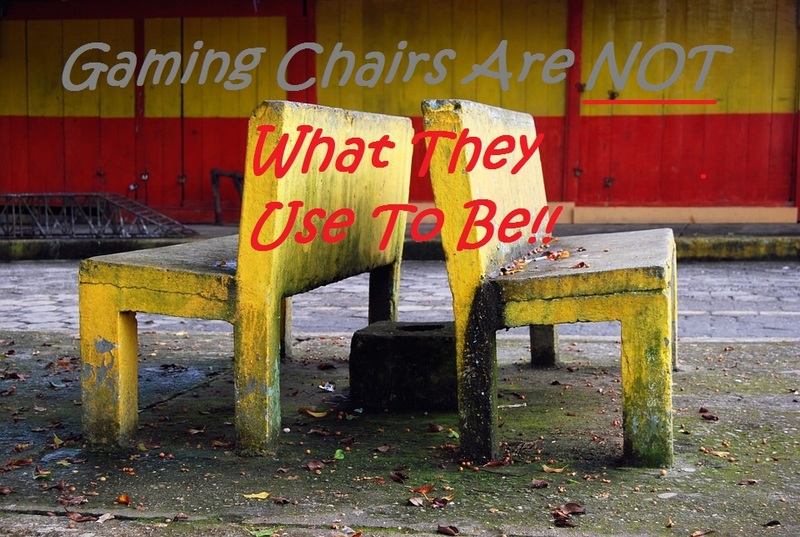 As more sleeping chairs become readily available to buy online, we will be sure to add them to the list. So make sure you come back at a later time if you don’t find what you’re looking for today. It’s important to know that some sleeping beds don’t come with a weight limit rating, not even from the manufacturer. So it’s important to do your thorough research and read reviews and details about the structure and support system. My Wife and myself were recently out looking to buy a reclining sofa with high weight capacities so that we could both feel comfortable and safe while relaxing after a hard days work. To my surprise, trying to find sofas that recline with a weight capacity proved harder then first thought. Most chairs simply don’t have a weight limit. Is this is a good or a bad thing? I personally need the reassurance that the sofa can handle our combined weights, for peace of mind, plus also to cover us for warranty should it fall apart in the close future. So when looking to buy a reclining sofa suitable for heavy people, you need to consider a few things if weight capacity isn’t stated. The amount of space you have between the arm and center console if it’s a two seater, or if you need to buy a 3 seater to cater to two people. The sofa we choose was a two seater with center console. So as the minimum distance recommended between arms for a lift chair for heavier people is 22 inches, I used the same measurement for this chair. Other important features to look for as a bigger person is:Whether it’ a powered recliner. Some recliner sofa manual handles can be difficult to pull and unlock when carrying extra weight. So having the ease of use a powered button really makes a difference. Also look for what the chair frame is made out of. Heavy duty steel, or a thin pine construction?. Always go for the heavy duty materials to ensure the sofa can carry your weight. Below you can find reclining sofas on amazon that actually specify their weight limit per seat. Hom Furniture deliver this stunning cleaning friendly 300 Lb weight capacity sleeping chair. 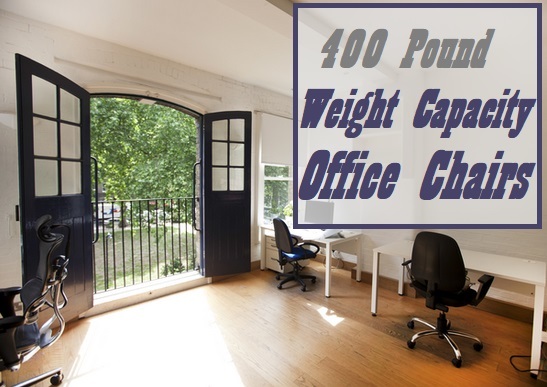 Ideal for overweight people up to 41 inches wide. The outer material is made from suede fabric which I find easy to clean, but more importantly what I really like about suede fiber is it’s genuine softness. Which works so well with the firmer than soft inner padding. Creates a nice mix of soft yet firm seating. This sleeper chair is one of those chairs I reckon people will comment on, in a good way of course. It has a certain stylish look about it, while still maintaining it’s heavy duty aspect. Comes with padded arms and also a soft and comfortable matching pillow. The pillow assists with lumbar support while in recline or chair mode. But when in fully extended bed position, you may find yourself grabbing an extra pillow or 2. Before you jump for joy over this high weight capacity sleeper, be warned assembly is not something I consider fun. In saying this, I recommend you have an extra person to help and a few extra hand tools to get the job done quicker. Epic Furnishings may also offer email support with instructional videos on how to put it together if you ask them nicely. With something as complex as this thing is to put together, I just know it’s the real deal. A genuine heavy duty solid sleeping sofa. Various colors and different sizes are also available, but this particular sleeper is the one person chair/bed version which measures in at 35/30 inches wide. The 750 lbs limit is easy to see within the structural support of this chair. Steel on steel is always a good sign to me. It’s a little heavier then most sleepers, but I’ve come to expect that from a 750 lb chair. Probably the biggest positive for me about this chair is the comfort level. It’s soft and squishy cushions and I just love those sink into the couch moments. What I find even more impressive is how the metal bars aren’t noticeable while the chair is in bed mode. Well this is my opinion, as some folks may experience the bar feeling depending on overall body size. Fans of timber furniture may take a keen interest in this sleeper over any other. The 2 arms are solid timber and look fantastic, however this dual material style may not suit all decors or personal tastes. Do keep in mind that Epic Furnishings do also offer various colors and models. As a big fellow who likes a bit of style, I couldn’t resist recommending the Gold Sparrow New York Bed Chair. Not only is it a great chair for overweight people due to its solid build and 31 inch wide surface, but it’s a rather cool and contemporary sleeper bed as well. Even without folding it down into a bed, I simply love this chair as is. The white stitching and that leather appeal adds a bit of class and style to whats a moderately priced convertible chair for what is one of the better quality chairs I’ve seen in this price range. So it can fold into 4 different positions including full bed mode, which the relatively firm foam cushions provide plenty of support and comfort. While in chair mode the included soft pillow is detachable and can be relocated for perfect lumbar support. Only negative I would think is while in bed mode it’s rather low to the ground. But other then that, I believe this to be a high quality sleeper chair with excellent functionality. If you have the extra room the DHP sleeper sofa may happily occupy that space. 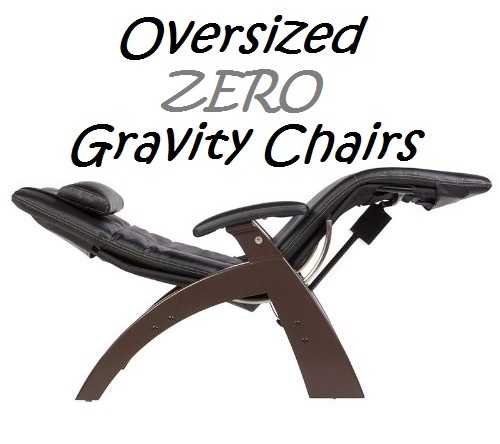 The chair folds down with little hesitation and has a high weight capacity of 600 lbs according to Wayfair. Which is a good weight limit for two overweight people or for one larger person to take advantage of the extra space. Speaking of space, this DHP sleeper sofa folds down to these measurements: Almost 71″ in length, 44.5 ” wide and has a height of 15.3″. 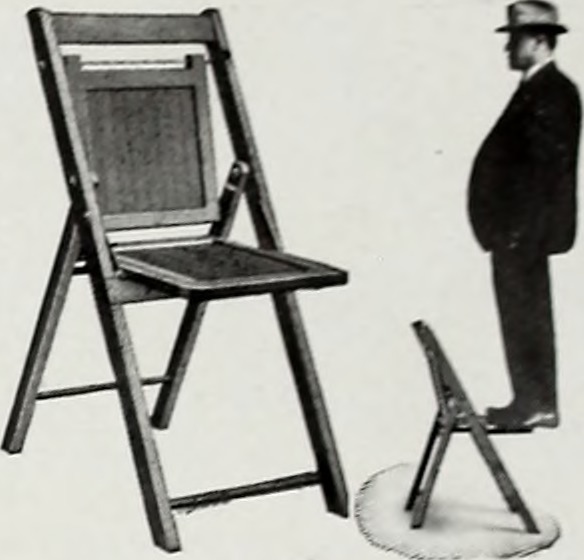 When up in the sitting position the height of the back comes in at 22.5″. I’ve seen mixed reviews online about the Delaney Sofa. What I discovered was that it seemed to come down to one common factor. Comfort while sleeping, some say it’s fabulous and some compare it to sleeping on cardboard. So keep in mind as we bigger folk most likely weigh more then these reviewers, it might be a good option to add a 3″ mattress topper. Not saying this sofa absolutely needs it, but just my recommendation. Overall I would have to agree with many of the reviews, and I do think this is one good value chair. It has plenty of style and eye appeal, plus functionality is a breeze. I find the price is very reasonable considering it’s heavy weight capacity of 600 lbs. Can come in either brown or black depending where you shop. Hom Furniture offer this 550 pound weight capacity folding sofa chair. Its a big bed when folded down and whats even better is the Ottoman that may come with this sofa. The folded out sleeper measures at 83″ long but when you attach the Ottoman it’s even longer. Almost 40 inches wide also. Great sleeper chair option for the big and tall. What I do really like about this chair/bed is the arm rest stay permanently in position, which acts as a bed head when unfolded. Just looks good and adds a bit of extra sturdiness to the bed. The addition of 2 cotton pillows is a nice touch, something you wouldn’t expect from a decent priced heavy duty sofa bed. So none of the above Sofa’s have taken your fancy, but you’re still interested to find sleep solutions for the big Man. Oversized Recliners are another popular solution. Many people have been known to use recliner chairs as a semi temporary sleeping option. I don’t see why not when some of these huge recliners are the size of a Queen bed when fully reclined. If a temporary bed option for a heavy guest is what you are after, portable cots for big people may also be an option. While not overly stylish, they do look pretty decent with a mattress topper and bedding on top. Some do end up looking just like a guest bed. Alternatively heavy duty air mattresses will also do the trick, again these extra large mattresses may even surprise you when dressed up with some bedding. The Gold Sparrow New York Sleeper Chair has a seating capacity of only 220 lbs. I found this on the internet. Hi Dave, thank you so much for finding out the weight capacity on the Gold Sparrow New York Sleeper. Much appreciated. That homcom folding lounge is beautiful, I love it. Hi Chris, these are chairs found on amazon. Just click on the links and you will be taken to the appropriate product. I have never know that there is different capacity for this kind of furniture. Thank you for the information. yep, this is best info. I’ve found, thanks! Thanks Leda, glad you found it helpful and you have a happy 2019!. Please tell me where you found that beautiful red Loveseat. Hi Sandy, it came from our local furniture store a few years back. Unfortunately they went out of business and I don’t know how you would get hold of one these days. Sorry. Previous post What Are The Best Camping Beds For Heavy People?